How do you ease the pain? You know how hard it is to break habits, to quit smoking, stop overeating or worse? Nature has programmed us to take the path of least resistance and the familiar is usually the “shortest distance between two points.” But what if a new way to do something is logically superior to our old methods? Change is difficult when you are trying to “improve” yourself, but the complexity is magnified when you need to change an entire group’s behavior! The journey from traditional sales methods to social selling certainly requires that you consider the motivation, costs and benefits, but the human element also needs to be addressed. Fortunately, the transition to social selling is not as difficult as it might seem on the surface. Successful sales has always been a blend of establishing trust, listening to the customer and choosing appropriate solutions. Methods have changed over the years from knocking on doors and the “three-martini lunch” to golf course meetings to the tennis and handball court and now to using social media. Cold calling was replaced by bulk emailing, but both methods are obsolete. What has always held is that a good salesperson is a trusted advisor who listens more than he talks. All that has really changed is how to be seen as that valued expert. When I talk to seasoned sales professionals I ask them how they have transitioned their techniques over the years. They frequently tell me that their messages are the same and only the media have changed. Organizations are harder to change than individuals. Trusted methods tend to stay around past their prime. Management has a rational fear of jumping on the latest fad’s bandwagon. There are costs and risks to be managed. We find that the most convincing argument is a collection of success stories from our own sales leaders. Pilot programs enable our pioneers to try new things, improve techniques from missteps and share their learnings. Along the way, collecting data on pipeline-build cost per lead and time-to-close, allows us to provide credible analysis of social selling’s cost to benefit ratio. 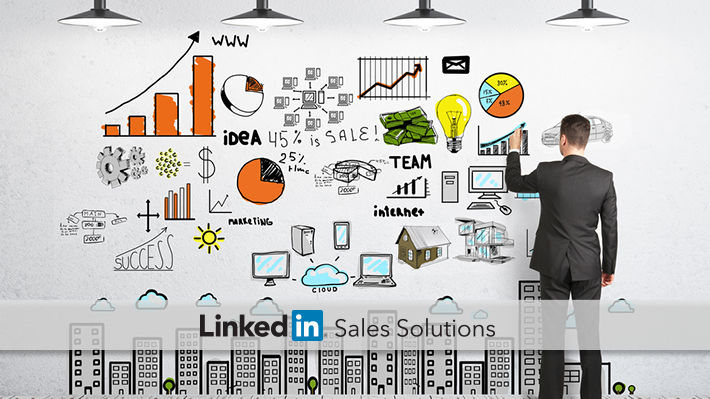 Once you are convinced that social selling is the right path to follow, it is still necessary to map the route. You need to work out the details on training and other costs. Also critical is work with field managers on how they should work with social selling teams. Do they need to transition from cold contacts to social selling gradually or cut over “cold turkey?” Do they know where their customers are? If customers are not yet using social media maybe caution is needed. At SAP we are moving quickly to adopt social selling. 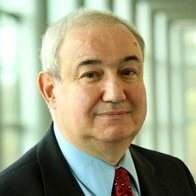 We have two driving forces: first is the demise of traditional cold contact techniques and second, is our move into selling cloud-based products that can be used by new customers who have not been out traditional “sweet spot.” We have the classic “carrot and stick” at play. We are finding far less regional and cultural difference than we expected. Social selling is truly a global phenomenon. Convincing our top sales and marketing people has been easy. Senior management understands the value and the proof in improved pipeline certainly doesn’t hurt. The challenge has been converting our field managers who usually beat their sales goals and are hesitant to deviate from their successful formula. Change is always hard. It is supposed to be that way. The road will be bumpy and you will learn a lot, but the journey is as important as the destination. Times change, people change but organizations evolve. 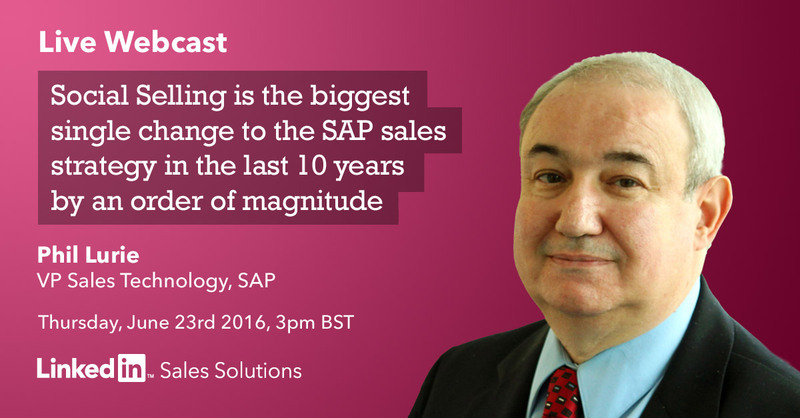 For more insight from Phil Lurie into SAP's journey with social selling adoption, register for the Live Webcast, How SAP Drives Revenue In The Social Age.